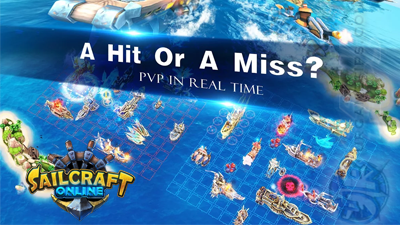 Here's some quick tips for new players playing Sailcraft Online presented by uqsoft HK, a turn based naval warfare mobile game for Android and iOS battleship fans. How to Reset My Game Progress? - Re-install or clear the App's data, then restart the game. If it's not working, create a new Google Account for example, clear the App's Data, then restart. Connect the new game with your new account. - It's not really recommended to do resets because you'll eventually get them all anyway. - Unlock, build and upgrade everything. Yes, because it's the only way to increase your Player's Lvl. Focus first on the those cheap and easy to complete ships or upgrades. - Upgrade Ships (Base Area). - Upgrade Warships (Shipyard Area). - Complete conditions to receive various resources like Chests and Gems! - Mothership: Max always to increase your Fleet Hitpoints, this should be one of your aim to increase your fleets' fire power. - Tech Ship: Max always to enlarge your Waters. - Energy Ship: Max always to increase your overall Energy and Refill Rate. - Merchant Ship: Upgrade whenever possible, a good source of Gold while you are offline. - Unlock and upgrade all new ships to get fast EXP points and Achievement bonuses. - Upgrade all Warships to at least Lvl 3 first, Common ships can be upgraded to Lvl 5, since they are cheaper. - Send them out to bring you free Chests and Gold. - Requires a number of Sea Stones per depart, farm them through battles. - Warships that you can get depends on your League Lvl (has chance to drop Epic and Legendary ships too!). - Focus on your main core ships. Preferably, go with higher tier Ships (Rare or higher) with nice skill sets that suits your playing style. - If you have spare Gold, also upgrade other Warships to Lvl 5 for more EXP (cheapest ones first). Upgrade them further as you go. - Start buying Limited Iron Chests from the Shop with 20 Hero Medals to get more warships, especially that Gold. Best if you can reach at least Silver III League first to get more. Note that these chests can also drop Epic and Legendary ships as well. - Another way is to earn them as you go and use them to unlock new Epic (Narthil is a good early game ship, the others are pretty useful mid to late game too) and Legendary warships from the Shipyard. - You can also use your 50 Hero Medals to rent the Master Exploration Ship, but wait until late game and reach higher League Lvls first, to get more Warships from the Chest that you will get. - Conserve your Gold, wait and collect all dupes from Chest drops instead then use your Gold mainly for upgrading. Better invest your Gold for EXP to increase your fleet's overall strength. - Note: Even without Epic ships, you can still win and progress through the game using your upgraded Rare and Common ships. - Only buy warships with Gold if you really need that piece to upgrade your Core warships late game (preferably those Epic ones). - Increase your League Lvl to increase your Sea Stone, Gold and Hero Medals gain per battle. - This will also unlock more Warships, and will increase the number of Warships that you can get from Chests. - Farm resources until you reach the limit per day, then wait for the Daily Server Reset. - Default spells can be changed anytime from the Fleet area screen (tap on the Spell icon to change). You can also unlock and upgrade your Spells here. - Nice early game Spell. Note: If it didn't hit anything, that means all 4 grids doesn't have any ship or structures present. Upgrade to increase range. - Best for offensive type fleets. - Nice for Battle Mode. Use this when you are about to get beaten, giving you a chance to win the battle. Note that this spell will disappear after 3 turns or if your enemy sinks it. - Best used if you have a ship with a Shield skill and if you have wide Waters. - Nice early game Spell for Battle Mode. Unlocks at Player Lvl 7. - Best for defensive type fleets. - All players will be given a set of default ships early game, then will receive random warships as you go. - Selene's Kiss, Trident, and Dauntless: Water Extenders with nice skills. Upgrade to Lvl 3 to extend more Waters. - Jaws and Moonspear: Excellent front-liners because of their counterattacks, upgrade them to at least Lvl 5 to fire more. Place Moonspear back though if you want to save it's Shield Killer. - Doomhammer: A Shielder ship, also a nice front-liner. Upgrade to Lvl 3 to increase shield HP. - Helius and Survivor: Energy Generators, pair them up if you want to fire quick attacks. - Just try different formations that fits your play style. Example: Place all ships along the sides or corners, and make sure to give at least 1 space around them. - Another formation that I found useful is to only occupy 3/4 or 1/2 of your Waters. - Place long ships to disrupt torpedoes (if no anti-torpedo net), this will halt your enemy from revealing more grid. Preferably, Ships that you can fire their skills early on, or Ships that can counter attack. - Deathwhisper Passive Effect: Ships with this skill effect will activate once they get destroyed. - Fightback Passive Effect: Ships with this skill effect will counter attack if it gets hit. - Ships that needs some time to be able to cast their skill/s (high Energy requirement). - These ones are really hard to predict or hit because of their shape. - Example Shapes: "Square", "L", "T", and more. 2-grid ships can also sometimes save you, especially when you have high amount of Waters, always include 1 of them if you like. - Increases as you upgrade your Mothership. - Always fill up all Hitpoints available to get the most out of it (also expands Base Waters). - Using two 4-grid ships, two 3-grid ship, and one 2-grid ship will give you a total of 16 Hitpoints (4-4-3-3-2). You can also use (4-3-3-3-3). - Go with (5-4-3-2-2), (5-3-3-3-2), (5-4-4-3), or (5-4-3-3), if you have a 5-grid ship. - Preferably, pair up ships with nice skill synergies and according to your play style. - The initial Waters is 600 points, and 100 points of Waters equals 1 grid. The exchange effect will decrease progressively as Waters exceeds 10,000. - Aim for at least a 6x7 Grid (or 4200 Waters). Increase as you progress through the game, the more water grids you have, the harder you'll get hit. - Note that ships with passive "Water Extend" skill can help you increase your water grids. Also, upgrade your Warships and Tech Ship at your home base as you go. - Using a bigger, rarer, and more upgraded warships will give you higher Luck, for a better chance to go first. The problem is, the enemy will go first most of the time because of the match making mechanics, so focus on your fleet's synergies instead. 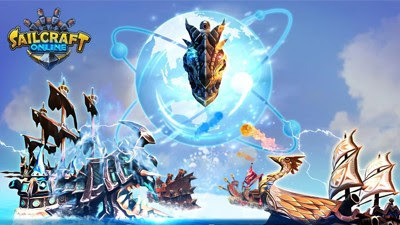 - You can tap on your enemy's ship to check their defense strategy, then use your skills wisely, to try and counter it. - If possible, use it's skill before it gets eliminated. - Defend that warship using a Shield. - This depends on the number of Energy that you can recover per turn. - Example: At Player Lvl 6 (all base ships maxed), you can get 5 Energy Recovery per turn. Use this as a guide and select more Ships with Active Skills that only uses 5 or less Energy. This way you can fire Skills every turn. - If you want to get a ship that requires more than 5 Energy, limit them to 1 or 2 only. - Waters Extend: At least get around 3 of these, more is better but depends on your style. - Deathwhisper or Fightback: Ships with these skills are pretty useful throughout the game. - Others are optional depending on your playing style. How To Change My Captain's Name? - Tap on your Player's Lvl to open your Profile Page. Select the "feather pen" next to your Name to edit it. Note that you can only change name once for free. - Gained by winning Battle Mode. - Increase Trophies to join Leagues, and to unlock and obtain more types of warships. - Earn from Battles, collect from Merchant Ships and from Chests. - You can also get some from Quest Rewards. - Earn them to unlock the Master Exploration Ship. - If you really need Gold, you can buy the "Sack of Gold" using Gems too. - Unlocks at Player Lvl 5. - Most guilds are open to all, but will require a number of Trophies to join. 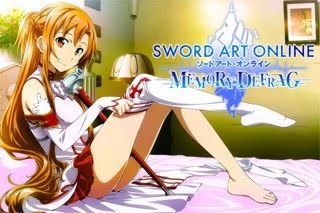 - Join a guild and add all members as friend. Go to your Friends List and challenge anyone who is online. Once the battle starts, just surrender to quickly end the battle. - Accept challenges too then surrender to help them complete their quests too.